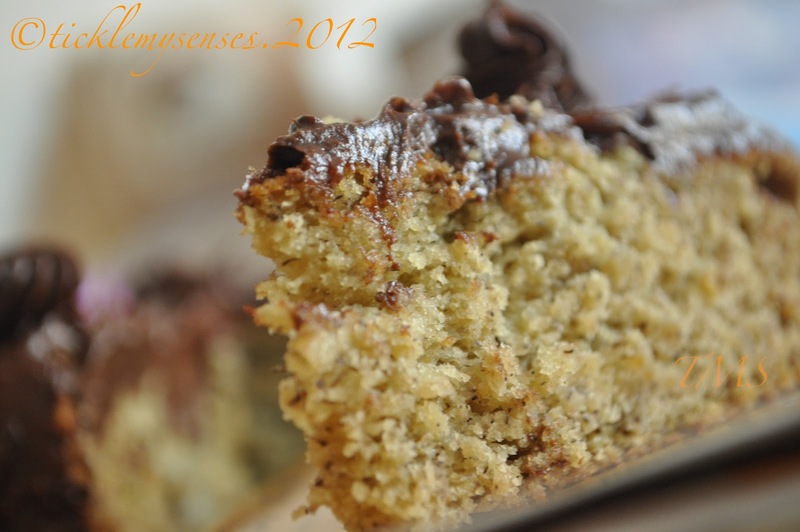 Tickle My Senses: Avocado, Banana and Apricot Cake/ Muffins with a Chocolate Avocado frosting. 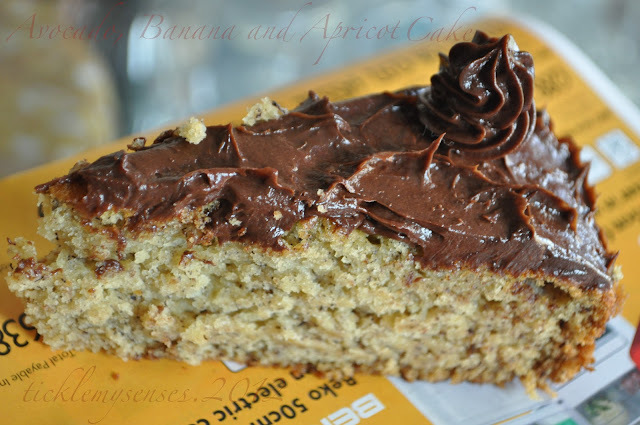 Avocado, Banana and Apricot Cake/ Muffins with a Chocolate Avocado frosting. If avocado does not tick one of your "to eat" food boxes plssss read on ( I hope to convert you or make a difference)....on the other hand if you are an avocado fan I'm sure you will love this post and the cake that follows. Creamy rich avocado is considered the world's healthiest fruit. It is a fresh, natural, and a wholesome part of a healthy diet. It is irresistibly rich in flavor and provides vital nutrients and phytochemicals, known to reduce the risk of some types of cancer and other chronic diseases. It contains vitamin K, dietary fiber, potassium, folic acid, vitamin B6, vitamin C, copper. It contains“oleic acid”, a healthy monounsaturated fat that helps to lower cholesterol. A good source of potassium, a mineral that helps regulate blood pressure. Also, avocado or avocado extract has anti cancer and anti inflammatory properties. Helps to prevent birth defects if eaten when pregnant and also improves vision. When choosing an avocado, go for an unblemished skin, and flesh that gives slightly if squeezed gently (though it shouldn't actually be soft). If you buy hard ones you can ripen them quickly by putting them in a brown paper bag with a banana (keep out of the fridge). Once ripe, keep them in the fridge. Avocados are best used raw, not cooked. Halve, stone and serve with olive oil and and balsamic vinegar or vinaigrette. Mash with tomatoes, garlic and chillies to make the classic Mexican dip, guacamole; or slice thinly with tomato and mozzarella drizzled with olive oil to make an Italian tricolore salad. Baby A enjoys it simply mashed up with a sprinkling of sugar and a splash of cream. 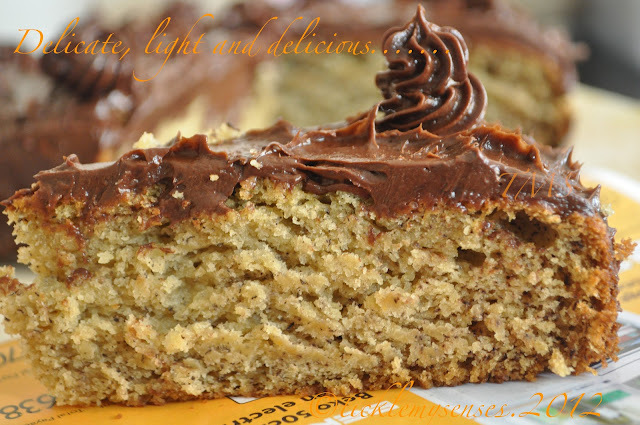 To create the wow effect bake it in a cake and be ready to accept all the compliments that pour in. 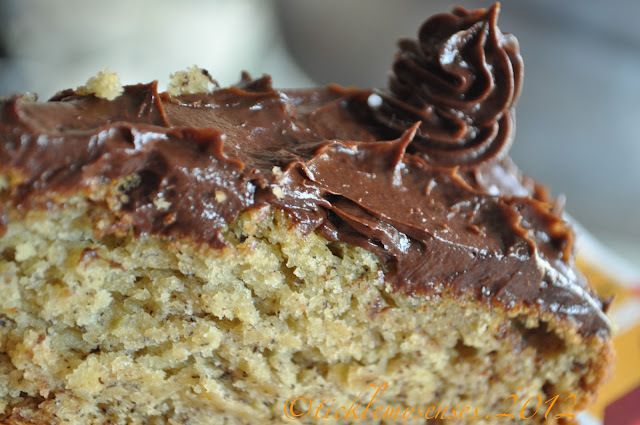 This cake is amazingly moist, light, crumbly, delicious and green :). It also has bananas and apricots in it to boost its nutrition profile. So a "swell treat". Do try it, kids will love it too. The chocolate avocado frosting is a bonus. It is free from butter unbelievable silky and luscious. Can be used as a healthy frosting to ice other cakes too. 1. Preheat oven to 350 degrees. Grease a 12 hole muffin pan or a 23 cms round cake tin. 2. Place all the fruit in a blender and blitz to get a smooth puree. Set aside. 3. In a large bowl cream butter and sugar till light. Then add an egg at a time and beat till creamy. Add the pureed fruit and lemon essence and mix well with a wooden spoon. Place the dry ingredients into a large sieve and sift over the butter -sugar mixture a 1/3 rd at a time. Fold the flour mixture in, just enough to incorporate. Avoid over mixing. 5. For the frosting: Place all frosting ingredients into a blender and blend to smooth mix. For a runnier frosting add a touch of whipping cream. Insomnia strikes. And I awaken to see this delicious slice of baked goodness! Wow!